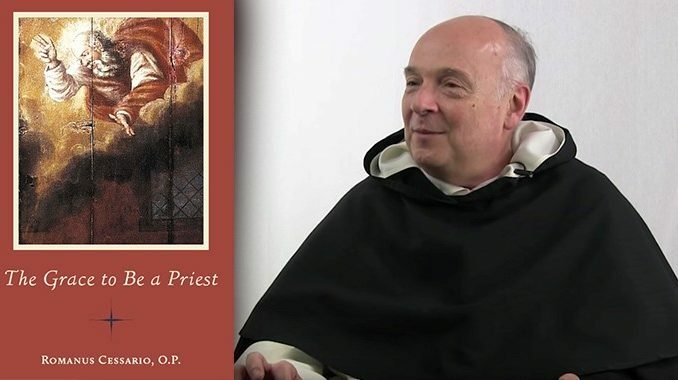 Father Romanus Cessario, O.P., reminds readers of the eternal focus of the priest, takes aim at the buzzword “discernment,” and shows why every attack on the Church begins with an attack on the priesthood. As a long-time teacher of literature, I have always made a habit of presenting a literary work first by introducing potential readers to the author. I have known Father Cessario for more years than either of us probably would like to admit. He was one of my professors when I was pursuing my licentiate in sacred theology at the Dominican House of Studies in Washington, DC, where I really learned theology for the first time (since the seminary I had attended was little more than a hotbed of heresy); it is worth noting that the Dominican House still provides what another faithful Catholic institution of higher learning has dubbed “dynamic orthodoxy.” If memory serves correctly, Father Romanus was brought to the seminary in Boston by Cardinal Bernard Law precisely to teach the course on the priesthood. Further, he and a handful of other Dominicans in the 1980s (like now-Archbishop Augustine DiNoia) were leaders in the reform movement within their province to ensure a sane path forward, which is now reaping untold benefits with an almost unimaginable glut of vocations. The title of this little—but critically important—work is programmatic; the holy priesthood is a grace to the Church and the world, to be sure, but it is also (and especially) a work of grace. In other words, what a priest is (first of all) and what he accomplishes (flowing from his sacral identity) come from divine grace. In an era of personality cults, this is a humbling realization for any priest. That realization, however, should also be a source of comfort as the priest makes St. Paul’s conclusion his own: “I can do all things in him who strengthens me” (Phil 4:13). On so many occasions that I lost count, the author reminds us that the goal of the priesthood is to get people to heaven. While we priests perform many tasks beyond the explicitly liturgical and sacramental (I am a prime example of this), whatever we do needs to be oriented in our own minds and thus in the perception of the people we serve of the transcendental dimension, which overrides all else. When that is lost—as sadly happened all too often in those sad Sixties and Seventies—the vocation is lost. 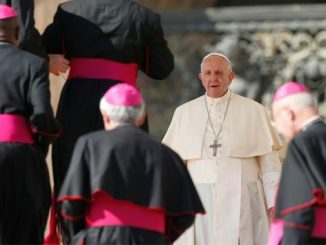 Father Romanus takes aim at a favorite buzzword of the past few decades: “discernment.” I confess that the mere mention of the word sends me up the wall. It is used to give cover to indecision, forgetful of the Lord’s admonition that one who puts his hand to plough and looks back is unfit for the Kingdom of God (cf. Lk 9:62). Perhaps I am impatient with it all because from the age of five when I first “discerned” a priestly vocation until the age of seventeen when I entered the seminary, I never “looked back” even once. 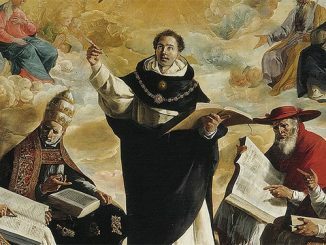 Further, contrary to some of the contemporary notions of priestly formation, seminary is not about “discernment” (at least on the part of the candidate); rather, one enters the seminary with the inner conviction that one is indeed “called” (“vocare”) and thus being prepared to live that call. Seminary is not (or should not be) a vocation; the Venerable Pius XII reminded seminarians in the 1940s that no one has a vocation to the seminary but to the priesthood. “Discernment” gone wild also justifies an inability to make a decision, like an individual I read about some time ago who, at the age of thirty-five, took fourteen more years to “discern” a call. Any married man operating in that mode would have his wife and children on welfare and food stamps! This is not caution; it is immaturity, which should not be encouraged by vocation directors and formation staffs. In an age when so much of the priestly “job description” has been parceled out to lay people, from distributing Holy Communion to preaching to pastoral leadership, it is hard at times for the priest to believe that he is truly necessary for the life of the Church. Father Romanus, however, notes: “The enemies of the Church have not forgotten.” Which is why every attack on the Church begins with an attack on the priesthood, as witnessed in the orchestrated campaigns of the Communists of the Soviet Union (and yes, of Red China today) and the Nazis, but also in the efforts of today’s militant secularists who are determined to marginalize and eventually destroy the Church. Their hatred of the Church drives their assaults on priests, make no mistake about it. The prophet Zechariah saw this clearly: “Strike the shepherd, that the sheep may be scattered” (13:7). Often we hear priests say that finding time to pray outside scheduled liturgical obligations is difficult. To which, we hear: “Prayer follows right desires.” Simply put, we make time for what matters to us. Needless to say, that will include the all-too-oft forgotten or neglected Liturgy of the Hours, as well as other traditional forms of Catholic devotion and spirituality. If the only time we pray is when we are paid to pray, something is amiss. During the Year of Priests, I assembled an anthology of my own writings on the priesthood and called the work, Be to Me a Father and a Priest. Priesthood is, first and foremost, fatherhood. Our Dominican guide connects this directly with priestly celibacy. Priests are not bachelors; they are fathers and their consecrated celibacy enables them “to exercise a higher form of generation. They beget saints.” What a lofty, inspiring thought. Friendship is a theme well treated here as an antidote to loneliness. This friendship is multi-dimensional: the priest’s friendship with Christ, with other priests, and with lay folk. No one can live in blissful isolation, but friendships must be good and holy for all involved. The confessor and spiritual director in the author brings that experience to bear on this topic. Those in consecrated life profess the evangelical counsels, among which is obedience. Even secular clergy make a promise of obedience. 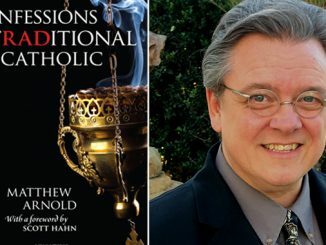 Interestingly, our author notes that the first object of priestly obedience is the “faithful administration of the sacraments of the New Law.” He also warns, however, against “interpreting obedience pragmatically,” that is, in the mode of institutional maintenance or what he calls “managerial efficiency.” In my estimation, one of the reasons why most priests have either little or no spiritual relationship or, worse yet, an adversarial one with their Ordinaries is due precisely to the devolution of ecclesial life into the corporate model. These bite-size morsels of reflection are peppered as readily with quotes from Vatican II as from Aquinas; it is hard to find a page lacking some comment from St. John Paul II, that great restorer of the priesthood and lover of priests. This work should find its way into the library (or perhaps better yet, in the prie-dieu) of every priest and seminarian (and bishop!). It would also be an apt resource in the work of vocation recruitment. As the season for ordinations and ordination anniversaries approaches, this small but powerful volume would make a fine gift. Fr Stravinskas offers as usual pointed enlightenment. Fr Romanus Cessario, O.P. correctly cites grace without which priesthood is misunderstood. By Priests. The mediation of Moses at Mt Sinai alleviating God’s wrath is a realization of its character. Christ baptized in his human nature began the revelation of priesthood as both intercessor and sacrificial offering to the Father sealed by his blood on the Cross. In baptism we die with Christ and become a new creation incorporated into the Mystical Body. The priest by ordination assumes Christ’s mission leading the faithful to truth and salvation. Discernment of that truth is exclusive to the revelation of Christ. Not to the adjustment of men to the complexities of life the priest taking cues from “a pontificate where truth and mercy seem poised as polar opposites”. Love is not human sentiment it is divine abnegation. Insofar that we give of ourselves as He did we as priests participate with him as mediator on behalf of men with the Father. In which the priest knows there is no greater Love. No, no, no. The goal of the priesthood is to make people feel nice so don’t talk about sin and make them feel guilty. The goal of the priesthood is the care of the environment so work toward zero population growth. The goal of the priesthood is to accompany people in their sin. Or at least, that is what the Vatican seems to be saying about the goal of the priesthood. Excellent article. Thank you Fr. Stravinskas. While the subject was clearing about the meaning of priesthood much in this article, especially about discernment and listening to and obeying the call of God applies to everyone in all aspects of life. Do we take time to listen in prayer and wait in patience for the promptings of the Holy Spirit to guide and direct us when our path does not seem obvious. ? When we come to a fork in the road do we toss a coin, pray for direction or pitch a tent? Do we see the multitude of choices put in front of us as opportunity to practice freedom or a burden to make one and only one ‘right’ choice or do we accept what is put in front of us. Is it really better to forge ahead making our own path or following His? If the goal of the priest is to get people to Heaven perhaps the goal of the priesthood of all believers should be to help one another and ourselves on the same journey. Just some thoughts. Splendid summary of a book not to be missed. In this is the glory of the priesthood truly alive. I am graced this early morning with this wonderful reading. This article has prompted me to ask some questions about Heaven, purgatory, Limbo and Hell. My subjects are Hitler and an adult star. When a Priest hears confession does he have a barometer to help him to determine what penance to apply? How can he be assured that he “fit the punishment to the crime”? Hitler has the blood of 6 million Jews on his hands and must surely be in Hell while we are guessing where the adult star is. She couldn’t be in Limbo which is primarily for unbaptized babies. She most likely has been granted the mercy of God and put in Purgatory. A metaphysical moment.